Ep. 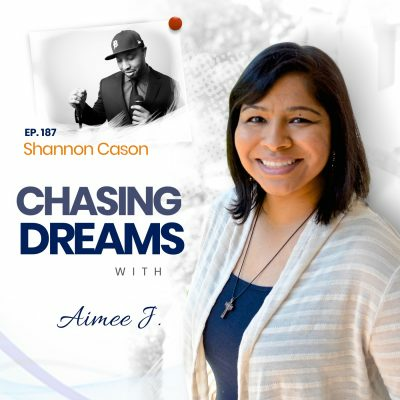 42: Russ Johns – Pursue Your Passion While Helping Others | Aimee J. Through his vast experience in radio, podcasting, and digital media production, Russ Johns (Future Media TV, Future Media Association, Agency 258) is known to many as “The Modern-Day Renaissance Man”. His passion for helping others is clear and his talent at sharing branding tips, digital media strategies, and much more has led to a successful career as a coach. 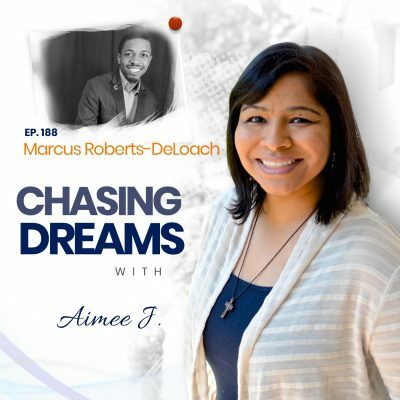 Russ and Aimee discuss how he found himself in the world of technology and why it resonates with him so much. They also discuss various platforms, strategies, and advice that can help you take things to the next level. Today, Russ juggles family life as the father of 2 sons with being a musician, author, speaker, and business owner. Being launched into a career in technology. Before Russ found technology, he was in the advertising business as a billboard installer. As fate would have it, Russ fell from a billboard during an installation and ended up being unable to continue on that path. That’s what led him to the world of technology. And, according to Russ, he knew immediately it was where he belonged. Initially, Russ was involved and engaged in audio. He did some recording for films and continued to learn more about ways to use audio to grow his career. And then Russ found podcasting. That’s when he truly hit his stride. Finding the right platform for your message. Russ discusses the various platforms out there and how to drown out all the noise so you can find the right one for your message. He shares insight into one of the latest video platforms – Blab – and why he’s found it to be useful to repurpose content across other platforms. Russ talks about the things he likes most about Blab – on the top of that list: it allows a conversation to take place. He also talks about his ability to think about the next step and how Blab just seems to work well for that. Helping others find their voice and refine their message. As the continue their chat, Russ and Aimee discuss Russ’s passion for helping others. Russ gives insight into what he truly loves about coaching others: helping them define their voice and their message. His mindset is simple: if he can do it, anyone else can – and Russ is determined to help people get their message out there in order to fulfill their dreams. He also shares one of the most critical elements of the success of any business: being able to repurpose content across several platforms. Russ goes onto share some of the commonalities he sees in the people he helps and why it’s so rewarding for him to coach them. Don’t wait to be perfect to start. In closing, Russ shares some valuable advice to fellow dream chasers: Perfection kills progress, so don’t wait to be perfect to start. Russ goes on to talk about why getting started is the most important thing you can do – you can always improve along the way. He goes on to give a final piece of advice: forgive yourself for being perfect – and talks about why he embraces his imperfections and freely shares them with his audience. 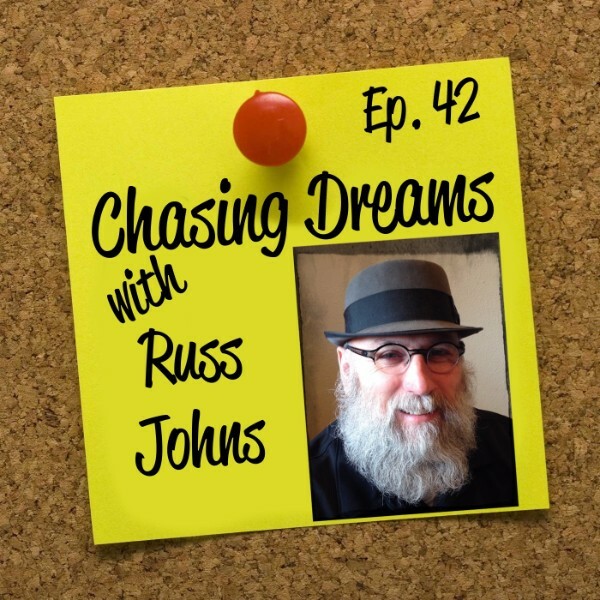 We have to agree, Russ Johns really is a modern-day Renaissance man – and he shares his advice and insight so freely throughout this conversation with Aimee J. [1:13] Introduction of today’s guest, Russ Johns. [2:50] How did you get into this? [5:12] Why did you evolve into Blab and other areas instead of just sticking with podcasting? [8:23] What attracted you to Blab? [10:59] Russ’s ability to think about the next step of the process and how to repurpose content. [12:58] What is it you hope to convey to your audience? [18:28] The options for live streaming video. [19:48] Aimee’s favorite tools to connect with her audience. [20:36] The value of YouTube, Twitter, and Facebook as search engines. [27:33] The industry of solving a problem in someone else’s business. [29:03] The commonalities in people that seek out Russ’s coaching. [32:37] The power of the email list. [35:03] The one thing you would tell someone else who is chasing their dreams. Perfection kills progress, so don’t wait to be perfect to start. Getting started is the most important thing we can do – you can always improve along the way.